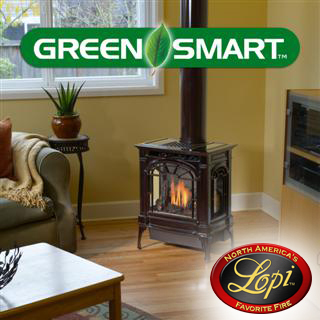 Like all Lopi (Low-pie) gas products, our gas stoves are serious heaters. All stoves are listed as heater rated furnaces. Lopi gas stove provide radiant heat to the immediate area with the added benefit of a built-in convection chamber, which circulates room air around the fireplace and returns it to your room as heat. You’ll be amazed at the realism of a Lopi gas fire thanks to the patented Ember-Fyre burner technology. Dancing yellow flames and glowing embers capture all the beauty of a real wood fire. It’s the most realistic gas fire available – so real, that Popular Science magazine awarded the Ember-Fyre burner one of it’s top 100 innovations of the year! The Ember-Fyre is so realistic you will be tempted to stir the embers and add more wood. 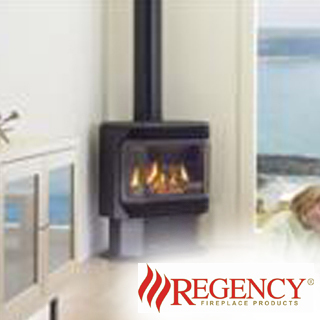 Regency Gas Stoves are versatile, efficient heaters that add comfort to your home. Enjoy the unique style of a freestanding stove with the convenience of gas and reduce your heating bills. Accent the features in your home with an impressive flame and uniquely styled cast iron body. 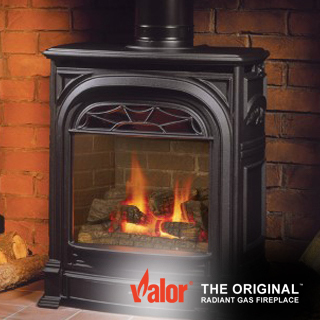 With a bold stance and plenty of character, Valor cast iron stoves make great finishing pieces. Large windows provide a more realistic, visible flame for your viewing pleasure. Control the radiant heat from the comfort of your sofa with the Valor state of the art remote control. 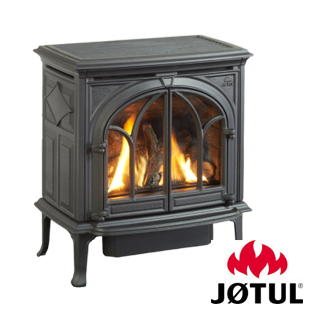 Jotul has a large selection of cast iron gas stoves. Manufactured in Norway since 1853.